This is the pattern for Block 7. I have also included border options for the quilt. There are no instructions with the border options as the centre of the quilt was all that was offered to begin with I decided to add the border to my quilt as an after thought. I will publish the finished quilt on my blog in the near future so follow me to get an update on how its going. Border option requirements and instructions for a couple of different options are included with the files. 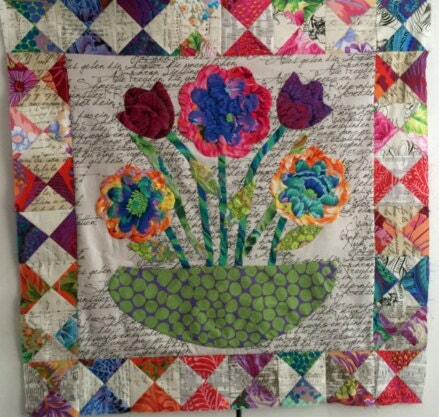 All templates used in the border are from the centre of the quilt. The vase from Block 1 and Bowl from Block 7 and flowers from various blocks.